Joel（緊張）: I can't see anything I don't like about you, I think I can't. Clementine（激動）: But you will, but you will! You know, you will woolgathering, and I'll get bored with you and feel trapped because that's what happened with me. 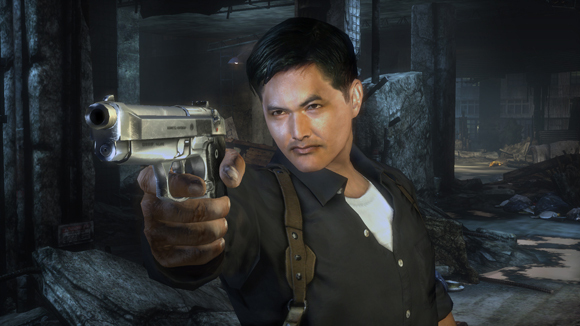 Legendary action film director John Woo hasn't given up on a movie adaptation of Stranglehold, the game he made with Midway as a sequel to his Hong Kong bullet ballet classic Hard Boiled. In an interview with Cinematical, Woo was quick to note, "We are going to make that into a movie" when the topic of the game came up. When the topic of making another, different game was broached, Woo -- whose latest film, Red Cliff, saw theatrical release Stateside November 22 -- said that he doesn't currently have any plans to, for obvious reasons. "I don't have that much time, even though I want to make one again," he said, "But for the moment, I also am producing two movies. One is shooting in Taiwan. One is shooting in Shanghai. So I am quite busy these days." Bad news, folks. Milla Jovovich has tweeted that Resident Evil: Afterlife has been pushed into 2011, and will hit theaters sometime that January. The film was originally slated for August 2010. Start crying into your milk now. 女既係Claire Redfield, Chris的妹妹, game第2集同外傳"Code Veronica"既女主角. 唔明咩？Knowing that their past relationship failed and erased, they or at least Joel, still decided to start again with Clementine. 小木屋?do u mean the beach house? They broke into the same beach house twice, once in the past relationship, once when they met again then.